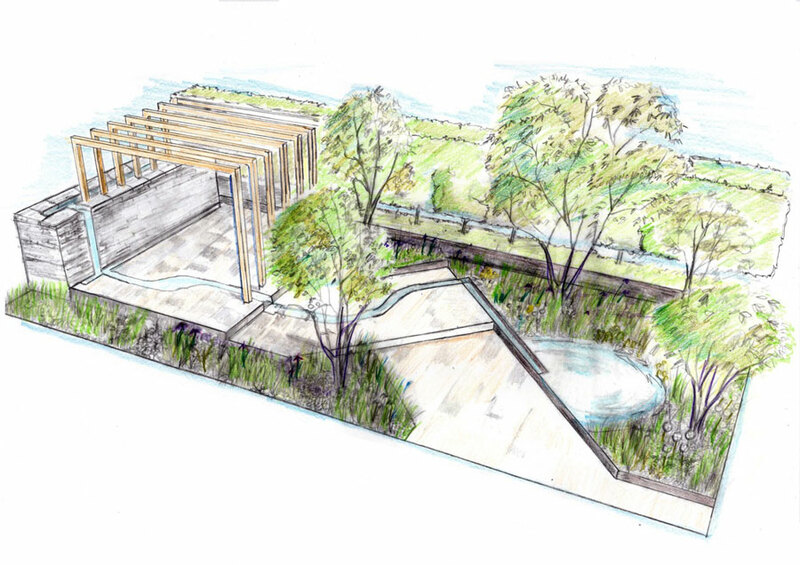 A garden inspired by the system of Japanese herbal medicine, will feature in the Space to Grow category at the 2019 RHS Chelsea Flower Show. ‘Kampo no Niha‘, designed by Kazuto Kashiwakura and Miki Sato, is a garden where you can wish and pray for the health and happiness for the people you love. The design consists of Kampo medicinal plants and ancient Asian constructional ‘Robanjyaku’ which is based on feng shui. The plants selected for the garden are all materials for Kampo medicines which grow in Hokkaido. For example, buds of Magnolia Kobus has antipyretic actions while the roots of Paeonia lactiflora relieves headache. The designers point out that these plants gently but steadily make people healthier and that to be healthy in mind and body helps people feel happier. The main colour in planting will be green with different types of leaf texture with white, soft yellow and a hint of blue flowers will add to the garden’s seasonal enjoyment and relaxed atmosphere. There is also a rather lovely story behind this garden – more than 300 people, from all over the world, have sponsored the design duo, from privately funded companies to ordinary people – to support the dream of these two young unknown designers to bring a garden to Chelsea. They are based in Hokkaido, in the north part of Japan, which has recently suffered a strong earthquake and in many ways the garden is a tribute to the people of Hokkaido Island as well as bringing to the UK the message of love and warm hearts, from this part of northern Japan. The garden will be constructed by an international team of British and Japanese contractors. The wooden pergola and stone patio have been designed with ‘Robanjyaku’ in mind. Miki Sato (pictured left) was born in Hokkaido and studied horticulture at Writtle College. She worked at the Sir Harold Hillier Gardens and although she has never designed a garden for RHS Chelsea, Miki visited the show in 2007 admitting that she fell in love with a garden designed by Adam Frost that proved the springboard to her deciding to study garden design at Inchbald School of Design. Kazauto Kashiwakura (pictured right) has been fascinated by plants and trees since he was a little child. 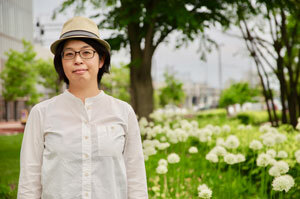 His inspiration to become a landscape designer hails from a visit to Moerenuma Park, designed by Isamu Noguchi, and he went on to study landscape design at Sensyu University then Kyoto University of Art and Design, Landscape Design (BA). I feel sure that Chelsea will give a big welcome to these two young designers and we wish them every success in fulfilling their dream to bring their Kampo no Niha message to the UK.